If you’re like me, you love when files have thumbnails. Photos should have thumbnails, videos should have thumbnails, and now, with CBX Shell, I want my ZIP files to have thumbnails too. CBX Shell is a neat little tool. It works by selecting the first image in an archive to be the thumbnail of the archive. This is especially useful for comic book archives, as it essentially makes the cover of the book the cover of the archive. If you ever deal with ZIPs with images in them, CBX may just be the program for you. Have a large stack of files you want to rename? Please don’t change them by hand. Doing that’d take ages; it’d be faster to learn a scripting language, write a script, and use it to rename them. 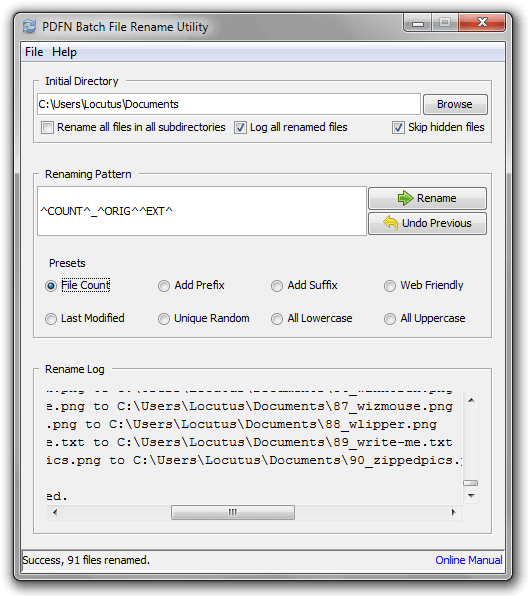 However, even that’s already taken care of with PDFN Batch File Rename Utility, a free tool that will automatically rename files based on their file count, add a prefix, add a suffix, add the date to them, randomize their names, and change the case. However, that’s not my favorite part about PDFN. 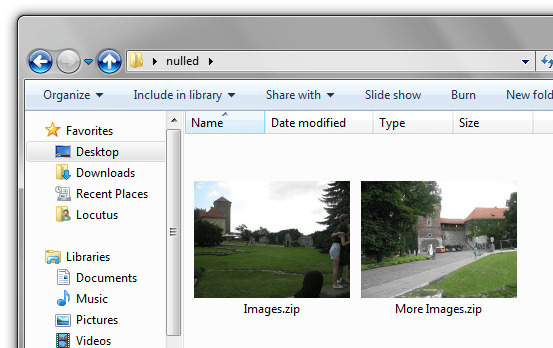 Its best feature, in my opinion, is the ability to rename files so they’re safe for the web. The way this works is by stripping out punctuation and replacing spaces with underscores. It’s quite nice to not have to do this by hand, and if you ever look at dotTech screenshot filenames, you’ll notice it’s not a practice I generally accept. PDFN is a nice tool, but is limited by the fact that it must be installed to run. If it was a portable program, it’d be a very nice tool to run, but in its current state it is fairly useless unless you are constantly having to rename files. It is quite tough to keep track of various versions of source code, especially if you’re doing it with multiple other people checking in revisions to the same code at the same time. If you don’t have a proper source control system set up this can mean having to manually hunt through files looking for changes. Rather than manually hunting through files, just install AptDiff. 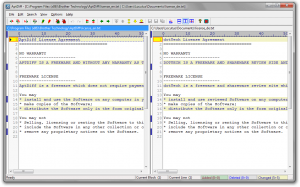 If you’ve ever used WinMerge , you’ll be instantly familiar with AptDiff. 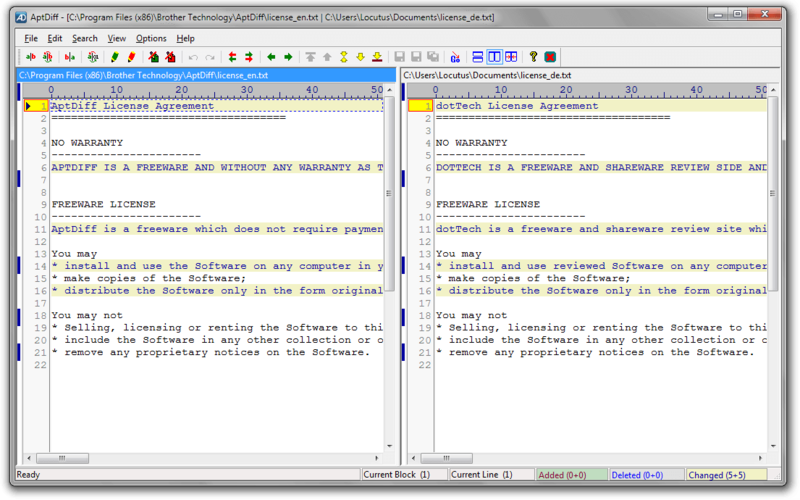 In fact, they’re a little scarily close, in the sense that you may feel that AptDiff may be ripping off of WinMerge. However, other than look and feel, I’ve got absolutely no evidence for that. AptDiff is a handy tool, especially as it is portable. If you keep the source of two versions of a small app on a thumbdrive and need to figure out which one is newer, AptDiff can handle that for you. It can also compare binary files, so you can tell for instance if a DLL has been modified.